Imagine this - strolling along a wide promenade, right next to the sea, enjoying the million-dollar view of the capital city's beautifully-lit skyline. There's some hustle and bustle on the promenade, but it's not too crowded, just about right. This is Sliema - one of the main destinations to visit or stay in if you're planning your holidays to Malta. When you've had enough of walking, just cross the street and settle in one of hundreds of restaurants, bars, cafe's and winebars lining the streets of this bustling hub. Or just sit down at the tables of one of the sea-side kiosks / outdoor restaurants which line the Sliema promenade, known the "The Front" or the "Sliema Seafront" by the locals. Between the nightlife, several shops and shopping malls, hundreds of companies being based out of this area, an excellent varied choice of places to eat, this is one of the busiest, most commercial and a social hub for the Maltese and visitors to the islands alike. "Imorru sa tas-Sliema" (let's go to Sliema) is a phrase which is something which is likely to be uttered when the locals are planning to eat out, mingle, do some shopping, or just laze around, bumping into people. The promenade along the sea is mostly along the penisula sperating Marsamxett Harbour from St. Julians. It starts from Ta' Xbiex and keeps on going mostly right up to Spinola Bay in St. Julian's - split at about the middle at Tigne Point. At Ta' Xbiex you'll walk alongside Manoel Island, a small island in the Marsamxett Harbour linked to Ta' Xbiex with a small bridge. Manoel island has mostly been used as a fort by various rulers of the islands, with the forts today largely being inaccessible. Walking on from Manoel Island, head towards Tigne Point, a luxury real-estate development and commercial hub, including the The Point shopping mall. 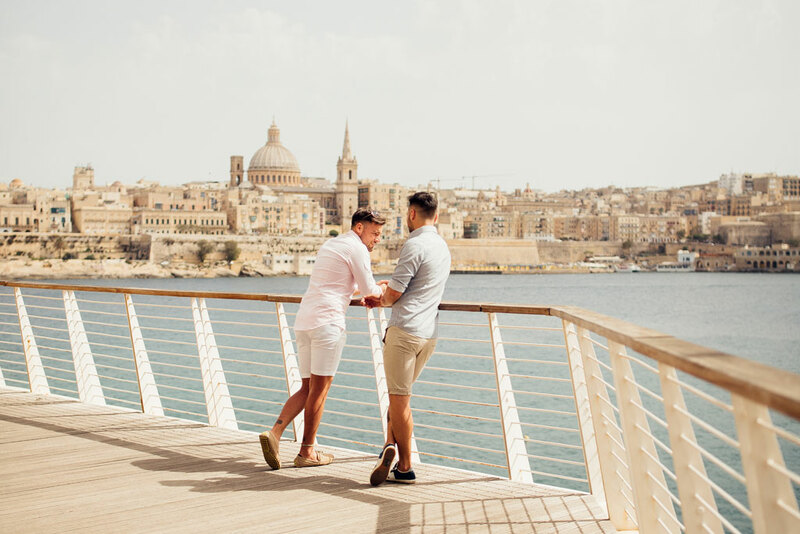 To your right, you'll find all sorts of restaurants and places to eat and relax, whilst to the left, the amazing skyline of Valletta, with it's bastions, churches and spires. At Tigne Point, you'll have to detour slightly towards Qui-Si-Sana to head towards the other part of the promenade, where the view now will change to mostly open seas. Walk down further to the Għar id-Dud area, towards the Chalet, or the remains of it. The Chalet used to be a social club between the 1920s in the early 60s, when it was closed for good. Today all that remains is what looks like a breakwater jutting out into the bay, but the locals still know the area as "ic-Chalet". From the Chalet, walk towards "Il-Fortizza" (The Fort), or the Sliema Point Battery, what used to be an artillery battery built by the British in the 1870s, today converted to a restaurant. From here head towards the Exiles, an area which also owes it's name to the history of the place where expats had been "exiled" to only visit the beach here and the St. Julian's watchtower, which has given the road it's name - Tower road. This is one of the watch towers built by Grand Master De Redin, which you'll also find dotted around the Maltese islands. From the tower, walk towards Balluta bay and square, along Gnien l-Indipendenza (outdoor gardens). As soon as you go round the corner known as il-Barracuda, after the restaurant located in the corner, you'll find the beautiful landmarks of the Church of Our Lady of Mount Carmel and the beautiful Balluta Buildings. If you've still got the energy, keep heading towards Spinola Bay, where you'll come to the LOVE monument designed by the Maltese architecht Richard England. While the front has been mostly redeveloped with the economic boom that the city has enjoyed over the last years, and no longer enjoys the charm of a few year's back, if you walk up a few metres up the roads you'll suddenly found yourself looking at up a traditional Maltese balconies, and plenty of Maltese charm visitors just love to love. There are plenty of good hotels in Sliema, so it's easy to find one which suits your budget. There three most central areas are St. Anne's Square, the Black Gold Saloon area, The Fortizza Area, the Exiles area, Balluta Bay and Spinola Bay so if you're within walking distance of any of these you're very nicely located. It's advisable to keep commuting by personal car in and out of Sliema down to a minimum, unless your hotel has parking, because finding parking spots at peak hours is quite the challenge. Use the search below to find a suitable hotel in Sliema which suits your budget. Choice can guarantee cheapest package prices so grab yourself a bargain now. Here's our pick of a range of hotels which are ideally located. This is a lovely modern hotel placed very nicely on the Tigne seafront. It's ideal position along the picturesque the Promenade amongst cafe’s and restaurants makes a top choice for accomodation. It's position is exactly opposite Hop-On, Hop-Off pick up points, the ferry to Valletta and very close the the main bus stop. The Marina offers modern guest rooms, private bathroom and free Wi-Fi throughout - a great choice. The Park Hotel situated at Graham Street, is within walking distance from the shopping area. It has a wide selection of rooms and good amenities. The roof top pool and terrace offers amazing views of the Grand Harbour and complimentary Wi-Fi is also available. Although the Victoria Hotel is not located directly on the sea front, it is close enough to the seafront and the main promenade such that it doesn't really make a difference. Despite being very centrally located, it is nicely tucked away from the hustle and bustle the locality is known for, so when you've had enough of it all, you can get back to the hotel and relax in a peaceful and pleasant environment. The Palace is one of the top 5-star hotels in Malta, with excellent service, exquisite cuisine and impeccable organisation. The Palace has been very recently renovated and remains one of the top hotels not only in Sliema, but also in Malta. The Waterfront is a leading 4-star hotel. Excellently situated along the promenade, the hotel is placed within walking distance from public transport and other services and attractions we mentioned in this article including bars and restaurants, several shopping outlets such as The Plaza Shopping Centre and the Ferries. The hotel enjoys stunning views of the creek, Manoel Island and the scenic silhouette of the capital city Valletta. The Carlton is a 3-star hotel in a great location at very good prices. It is situated on the seafront with great access to both Sliema on one side and St Julians on the other. The Carlton is situated close to all amenities, surrounded by coffee shops, ice cream parlours as well as restaurants serving Maltese and international cuisine. The Chalet is a sweet and modern hotel situated on the popular sea front promenade, on Tower Road. Another excellently located amongst cafes, restaurants, shops and within walking distance Malta’s largest indoor shopping centre, ‘The Point’. The Plaza Hotel is located on Tower Road. Tucked in a quaint and quiet corner it enjoys great views of St. Julian's Bay. The hotel is few minutes stroll away from the busy and bustling hubs of Sliema, St. Julian's and Paceville. The Diplomat has a superb sea front position on the Promenade. It is ideally located with an excellent rock beach bathing facilities and a beach lido just across the road. This hotel is also well located close to various theme bars and restaurants. If a hotel is not what you're looking for, there are plenty of other accomodations with a wide range of prices available. Have a look at all self-catering available options in the area. If you're still not happy with the above, use our generic search facility at the top of the page to find an accomodation which suits your needs. The nightlife in Sliema is only second to Paceville. Really and truly, if you're not into much clubbing, this is where you should be looking for in terms of nightlife, from Ta' Xbiex right up to Paceville, there's plenty of restaurants, cafe's, bars and winebars and all kinds of other eateries where you can stop, either for a snack or for a proper meal. Anything from fast food and Pizza to fine-dining - you'll find plenty of everything. Temptasian is quite a great restaurant at The Palace Hotel, where you're guaranteed to enjoy a great Asian meal - surely one of the top restaurants in the area and probably in Malta. A fine-dining experience where you can enjoy spectacular views of Valletta whilst enjoying your dinner. Booking beforehand is recommended - the restaurant gets very busy especially on the weekends. Mint is a New Zealnad style cafe - more of a breakfast, brunch, lunch place - in fact, it's usually closed after 4PM. But the options on the menu range from the very healthy to the very tasty - all of them are quite delicious and very moderately priced. Run (and appropriately named) by Chris, this restaurant and Maltese bistro is a good place to visit if you're looking to enjoy some typical Maltese food. Chris makes a mean plate of "Bragjoli" (beef olives), "stuffat tal-qarnit", (Octupus stew) and plenty of other Maltese and Mediterranean dishes. This is not a restaurant or a bar, it's more of an outdoor bar or lounge area where many of locals spend their summer evenings, enjoying a cold beer and chatting the night away. Open only in summer, and quite literally at the water's edge near the Tower in Sliema, this is a great place to chill. This is another lounge / bar / eatery found right at the water's edge, just off the promenade. It's an area which is quite popular in summer, being right next to a popular swimming area. Busy both during the day, but more so at night, it's a good place to mingle. Dolci Peccati is most popular for the great desserts available, but it also has a great menu of breakfast, light lunhces and snacks. It also serves a great Spritz and you'll find many people, residents of Sliema and beyond visiting, particularly in the evenings and weekend mornings, when it gets quite nicely busy. Cafe Cuba is one of the main eateries around St. Anne's Square. As the name suggests, it runs a Cuba theme particularly in terms of decoration, though the food is not Cuban-themed in general. Great place for a good burger, a wood-oven pizza or just a bit of a relaxed snack. Sistine is strictly speaking a wine-shop which doubles as a wine bar in the evenings. You can pick your wine there and then and enjoy it, at cost-price - though you might find a more limited choice if you're looking for chilled wines. They also have very nice platters to enjoy with your bottle of wine. They also stock teas, whiskies and plenty other stuff for the epicurious. Ta' Bajri is a sweet, local winebar which has been around for ages. Not exactly very modern, it has a very local, very vintage, authentic feel. If you'd like to get a taste of something truly local - you must pay Ta' Bajri a visit. Given the fact that it is such a popular destination, getting there is very easy in reality and there are various options. Given that this is such a popular destination, you'll find that getting from the Malta International Airport to Sliema, at just over 10km is quick and easy. The cheapest option is Public Transport, with the X2 bus taking you directly to Sliema. The TD2 also goes directly to the airport, with stops at San Ġiljan, Spinola, Balluta, the Chalet and the Ferries. The X2 (or any other public transport fare) costs €1.50 in winter, €2.00 is summer, and €3.00 for the night service if you buy vash tickets. Prepaid cards turn out to be cheaper in the long-run, so if you're planning to do a lot of exploring by bus, you might want to check out the cards on the Public Transport website. Taking a cab is faster, but pricier option, with standad fares starting at about €20 with pre-booked private cabs such as eCabs. Alternatively, you can catch a Taxi directly from the stand at the airport, but you'll find that at peak hours you might find yourself waiting, so booking beforehand is recommended. Shuttle services such as those offered by MaltaTransfer from the airport to Sliema cost about €16 and should also be booked beforehand. You can also get to Sliema by private car (if you've hired a car at airport), but parking is notoriously difficult - and traffic wardens and police patrol the area frequently. It is advisable to ask for parking at the hotel or accomodation where you are staying, or find a paid parking area close to your accomodation to avoid wasting time looking for a parking spot. The Point (Tigné Point) and The Plaza both have multi-storey car parks, but this does not come cheap with the current rates being about €1.10 every half an hour between 6:00AM and 8:00PM up to a maximum of €10 per day. Other than from the airport, getting to Sliema is fairly easy, with most tourist services offering transport to and from your hotel. Public Transport also is very well connected to Sliema. If you'd like to quickly get to Valleta, with great views of the Harbour you can catch Valletta Ferry with is as little as €1.50 per person or €2.80 with return. The ferry runs across the harbour, avoiding the public transport trip along the coast road, making it much quicker (trip takes some 15 minutes). At the same time, you can enjoy excellent views of the harbour. The ferry sometimes gets called off due to the weather. It runs till 19:15 in winter, but in summer it keeps beyond midnight. As with most major cities you'll find that Hop-On, Hop-off are a regular feature here. In fact, open top buses are a great way to discover Malta and visit the most interesting places if you don't have much time on the island, given that most of the year you'll be able sit outside comfortably - you're actually more than likely to get a sun-tan even just by staying on the bus. Regular buses leave from the Ferries bus stop every half hour from 9:00AM to 3:00PM during the week and from 9:00AM to 2:00PM on Sundays. A full day ticket costs about €20. As most of this location is a penisula, you'll find that access to the sea is very easy. 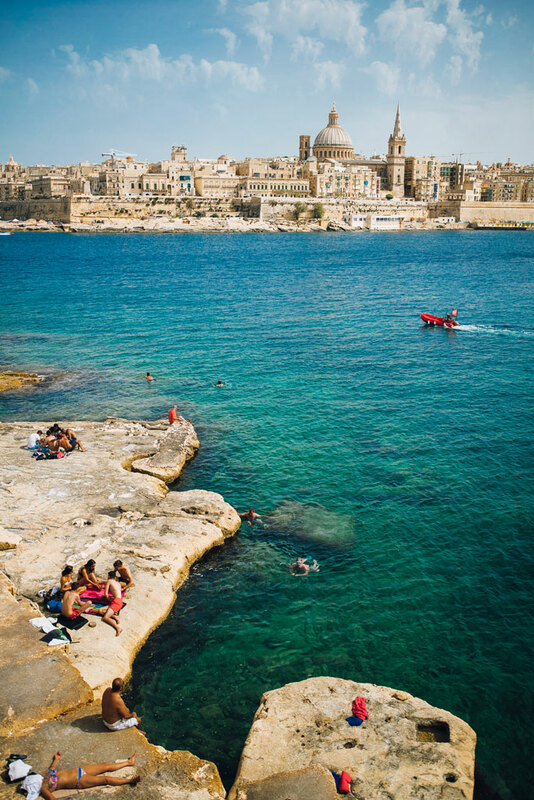 There are a number of swimming spots, with the most popular Sliema beach being the area between the Fortizza up to Balluta bay, with most of area being rocky coastline but with very easy access to the sea - and very popular with sunbathers. There are no sandy beaches in Sliema, unless you want to count a few small patches of sand here and there. If you prefer sandy beaches, it's best to head to Golden Bay or Mellieha Bay, in the north of the island. You'll find that the area gets quite popular in summer, with many locals actually visiting the beaches for to enjoy a relaxed afternoon / evening by the sea. The Surfside area and the Exiles area are highly-frequented by the 20 to 30-somethings, with both areas being also nicely served with small bars and eateries (Surfside and Paradise Exiles respectively) with the summer being very popular till late at night, even during weekdays. You'll also find paid beach clubs, with the main two being Pearl Beach by Charles Grech amd MedAsia Playa, both being a bit more upscale than just throwing your towel on the rocks and chilling by the sea. When you've shopped till you've dropped, topped up your tan and had enough of the chilling and swimming, you might eventually find some time for some culture. Just walking around in Sliema, taking in the winding roads, the traditional Maltese architecture and balconies and just getting lost is usually quite the experience. If you're looking for specific places to visits there are also a number of places and landmarks you might want to stop at. As with most towns in Malta, you'll find that churches in Sliema are found at almost every corner. The following are some of the landmarks you can opt to visit, but these are mostly landmarks, rather than places such as museums or attractions. When we visit a place, we typically like to learn quite a bit about it - the stories which we learn and the interesting facts give you a better understanding of the local culture and makes your visit even more memorable. It's also great for telling stories when you're back home. Sliema, derives from the word "sliem" in Maltese which means 'peace, comfort'. It used to be a quiet fishing village but today is a booming commercial and social hub. Sliema is considered a highly affluent place to live in, with property and rental prices being very high compared to the national average. Residents of Sliema are stereotyped as having English as a first language, and are sometimes known in a bit of a derogatory term as "tal-pepe". This is actually a reference to the distinction of classes (the north/south divide of Malta), where the people living in these areas are typically more affluent and seen as high-browed. Sliema got its name from the Our Lady of Good Voyage Chapel, which no longer survives. It is thought that the could be connected with the first words of the Hail Mary prayer, which in Maltese starts with the phrase "Sliem Għalik Marija". Norfolk Street, Prince of Wales Road, Windsor Terrace, Graham Street, Milner Street and Fort Cambridge are all named after British governors or places given the influence the British had here. Should I stay here as part of my holiday? Yes, if you can afford it and if you like "busy". The location is very central and there's always a lot going on. It is very well connected and popular with tourist operators so you're bound to find all you need as a tourist. If on the other hand, you're looking for a budget holiday and a mostly quiet area, you'll be better served elsewhere. Can I eat cheaply? Absolutely, if you go to the right places. There are ways and means of shopping around for the right prices. Visiting any of the small kiosks, pizza stands and other such food stalls should result in a good bargain and any very local eatery will provide snacks and food cheaply (and yes, it is very safe to eat there, despite the fact that they might look grubby). Alternatively, you can do some shopping are grocery stores or Supermarkets such as Scotts, Tower or Chain's. 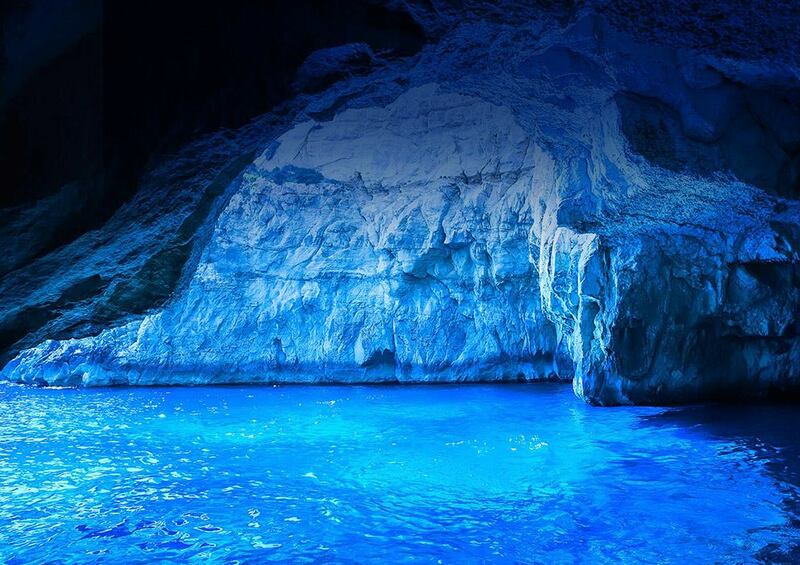 Why not book your holiday to Malta now?